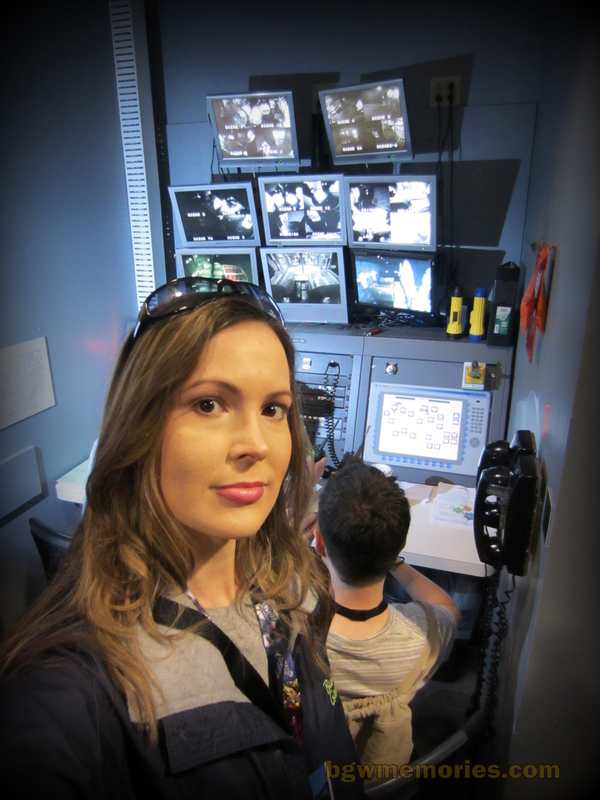 The Ultimate Insider Tour: Ultimately Awesome! 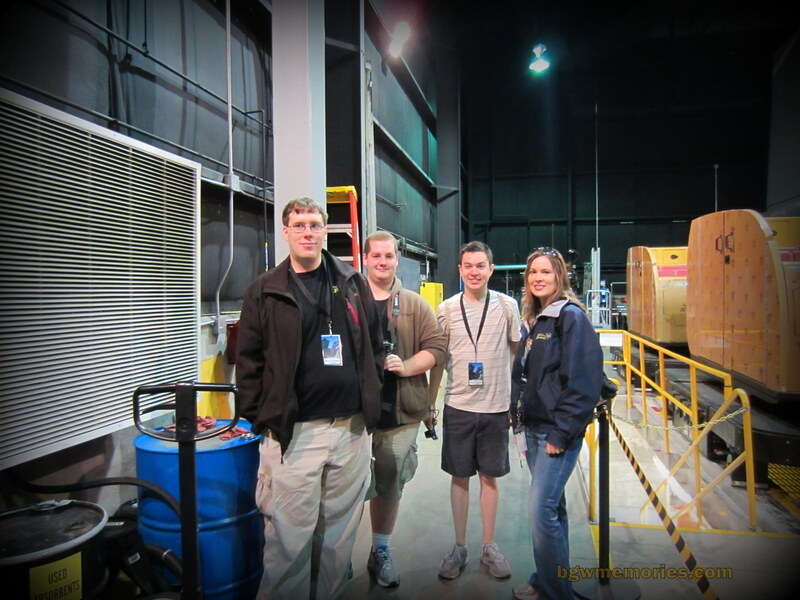 April 26, 2013 1:44 AM / 2 Comments on The Ultimate Insider Tour: Ultimately Awesome! 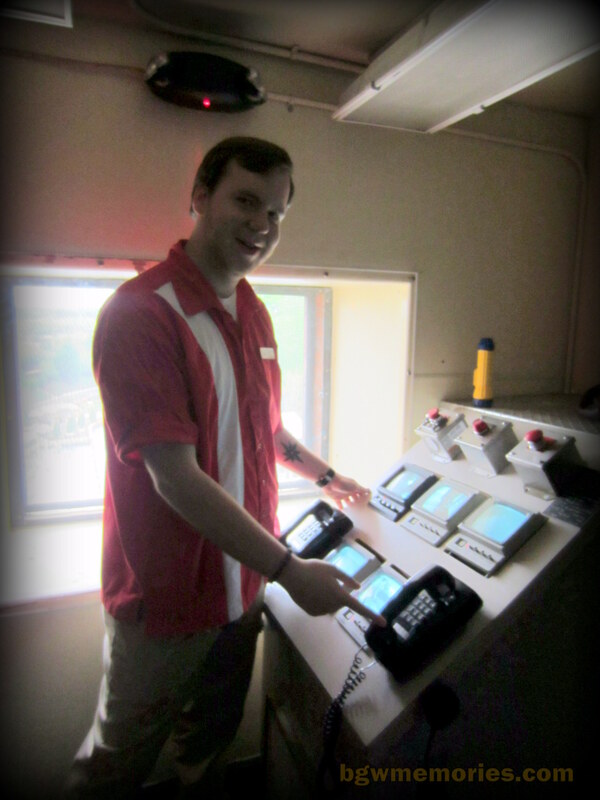 Taking the Ultimate Insider Tour was for me, the “ultimate” Busch Gardens guru was a no-brainer. I was a very happy camper pulling up to the parking lot at 8:30am; ticket in hand and meeting my friends for an 8 hour adventure! 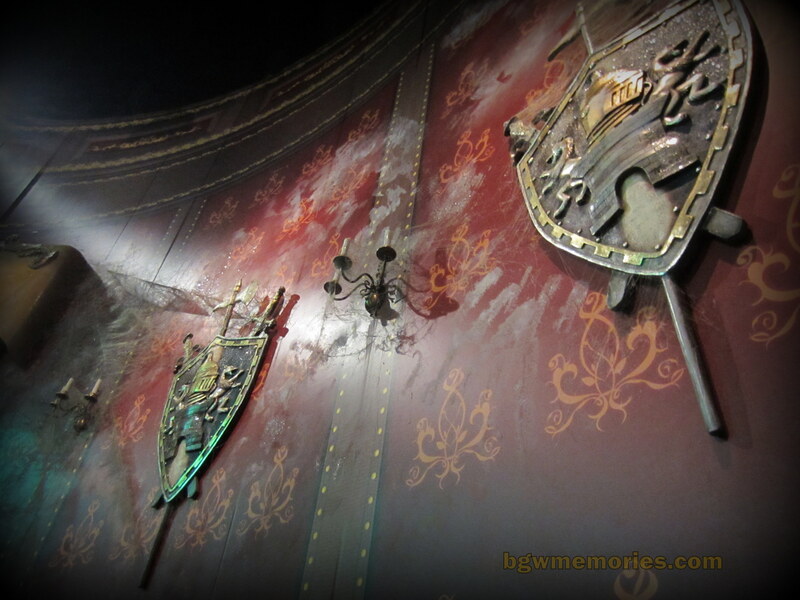 The tour includes preferred parking, early access to the park, touring the bakery, a behind-the-scenes tour of The Curse of DarKastle and Pompeii, VIP access to rides during the tour, VIP seating for Celtic Fyre and Entwined, and a meal voucher that includes a entire main course, side item, desert, and drink! All of this awesomeness set me back $80.00. However, when you calculate the meal into the ticket price, your actual tour is closer to around $63.00. Being that I had one of the best trips to Busch Gardens in quite some time, I say it was worth every penny. Also, my season pass offered me a discount on the price, so it was even less. 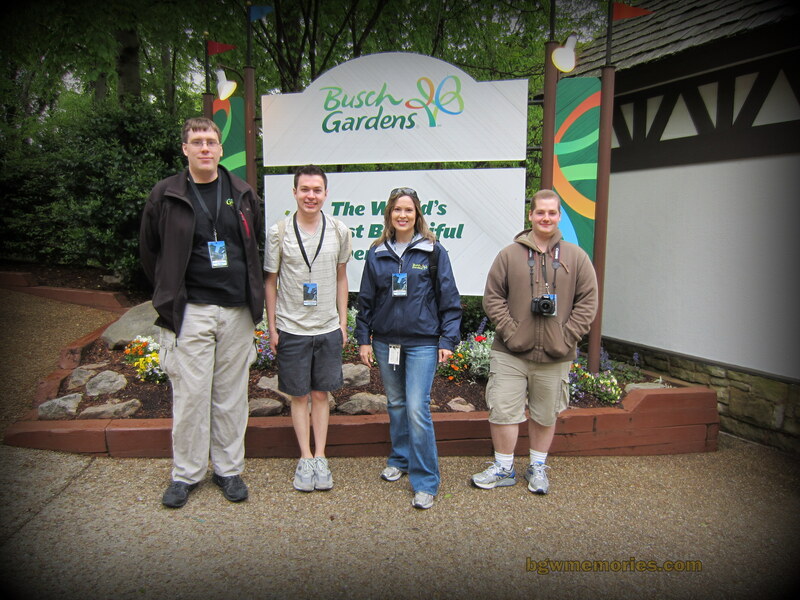 Our little group of four consisted of a serious gang of Busch Gardens enthusiasts. 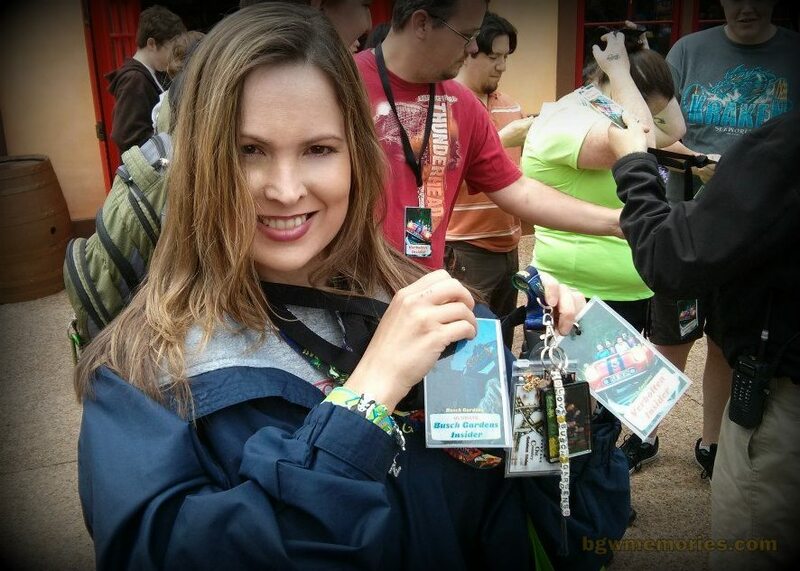 We all planned on taking the tour together in order to maximize our park knowledge. I sure hope that our tour guides enjoyed all the geeky trivia we were blurting out the entire time. 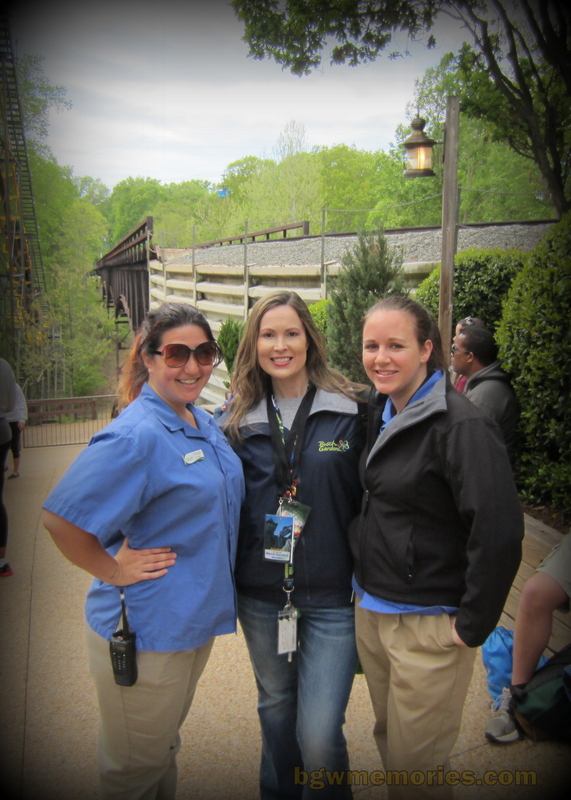 Speaking of, we had two tour guides greet us at the park entrance; Ashleigh and Kelsie. 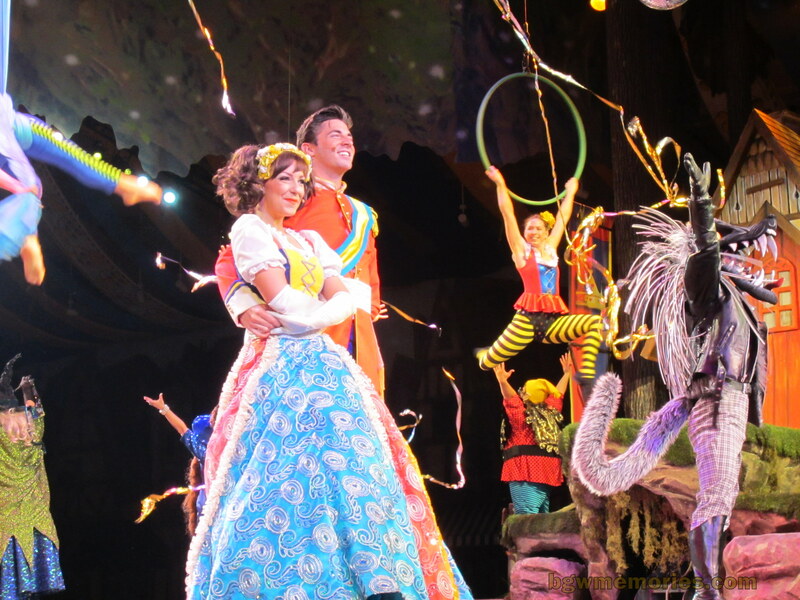 Both of them greeted us warmly and immediately began the tour. Kelsie was currently training under Ashleigh, so I made sure to stay close by and give her as many trivia facts as possible. 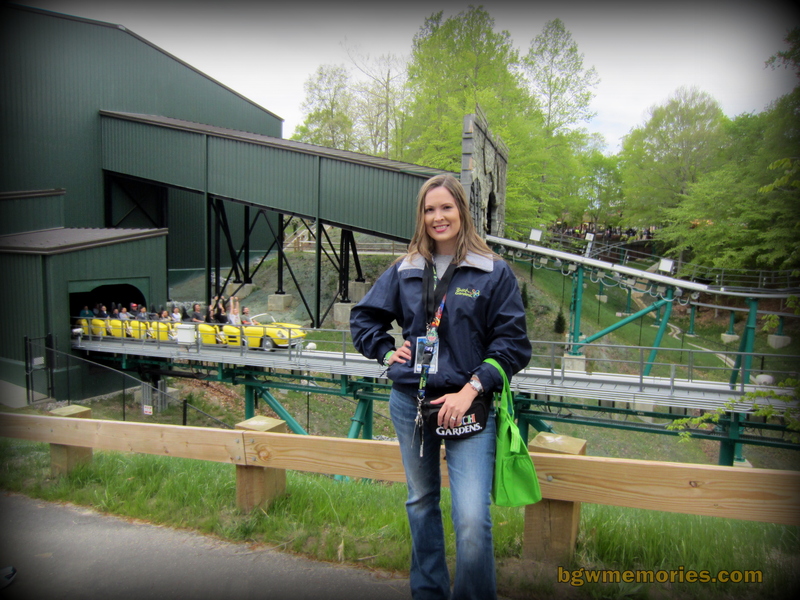 She now possesses the knowledge of how many cabins are on the skyride, the hidden “Grimm’s Hollow” throwbacks found in Land of the Dragons, and pretty much everything and anything you needed to know about the Big Bad Wolf roller coaster. Going back to the tour, we started out with a trek to the Festhaus bakery. For someone with a wheat allergy, it was like being set in the Garden of Eden and told not to touch the forbidden fruit. Torture I tell you; absolute torture! I was so touched by their kindness but since I couldn’t eat my cookie, I passed it on to another in my group that was more than happy to sample the dessert on my behalf. Looking in at the bakery. The bakery was amazing. It was a flurry of workers getting everything made for the day. 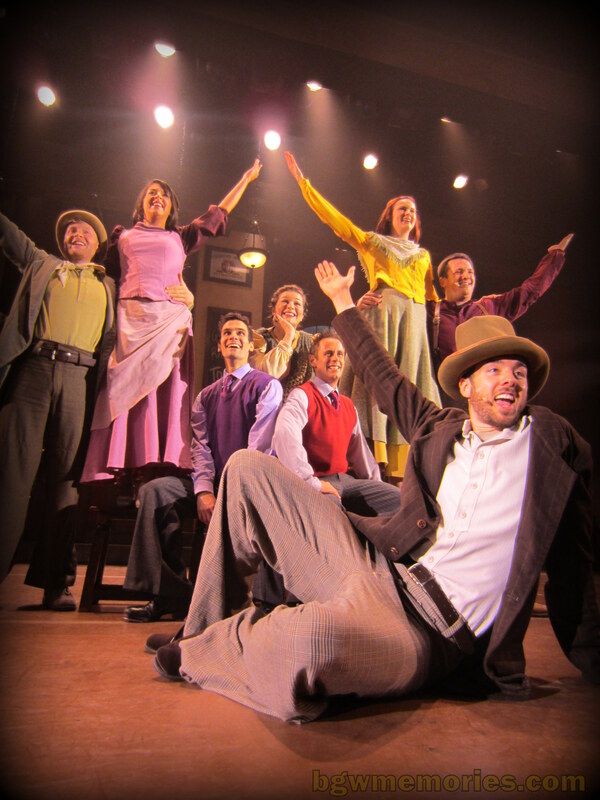 The supervisor stepped in and explained that all the bread, cakes, and so forth were made fresh everyday at the park. Yes. Everything at Busch Gardens is made fresh for you everyday! There are no “frozen” cakes that they thaw out. 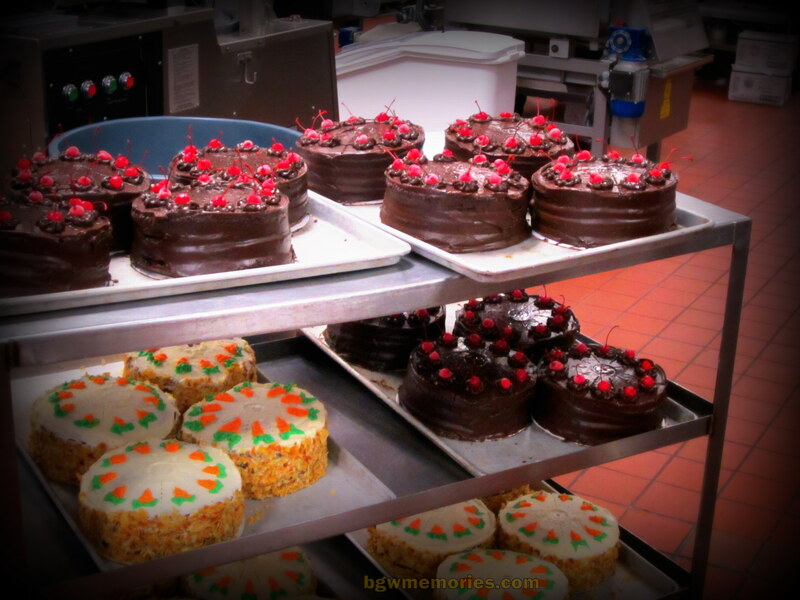 So next time your mouth begins to water over a layered torte cake at the Festhaus, just remember, it was made with pride right there at Busch Gardens! We were led outside the Festahaus bakery and made our way over to the maintenance area of DarKastle. Instantly, we were greeted by a long row of mechanical sleighs. For a moment, we all just stood in awe before we all whipped out our cameras; it was one of those eye-opening WOW experiences! Joe and Jason, two members of the DarKastle maintenance team, went over the questions we had about the technical aspects of the ride. They were very considerate of our inquiries and seemed to really enjoy the interaction with our group. They even allowed me to have a little cup of their coffee; a much needed boost to my early morning adventure at Busch Gardens. Joe and Jason at work! After testing one of the sleighs right in front of us, we all headed through the ride on foot. 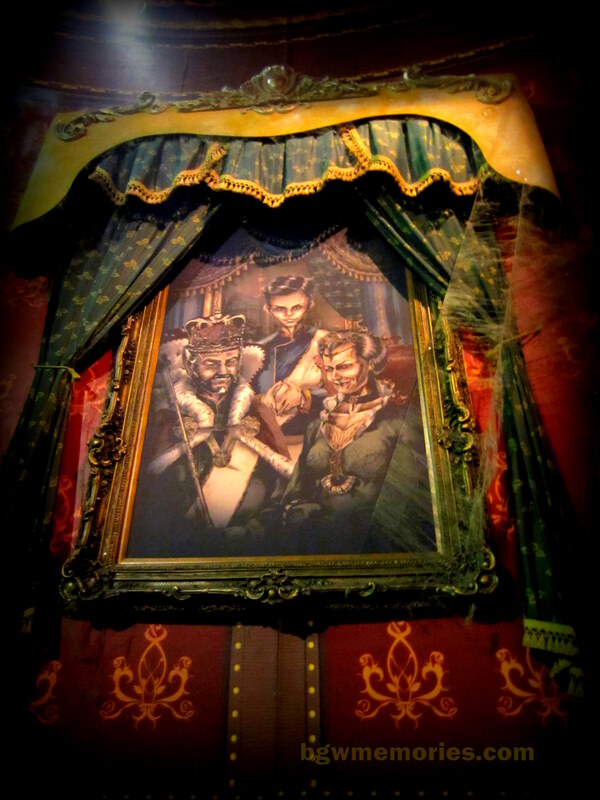 Seeing all the detail of the ride first-hand was astounding. During the ride, you are turning and swerving all the time and you hardly get a moment to really notice all the detail. 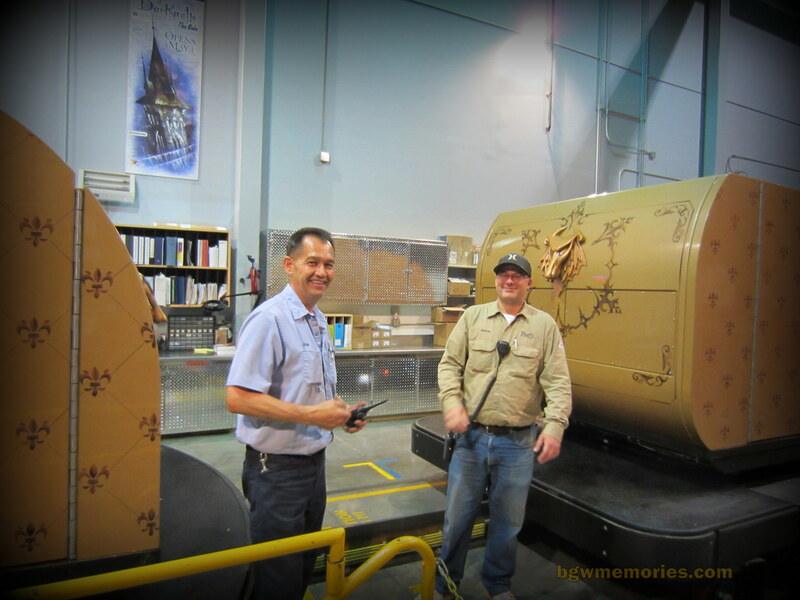 I was extremely impressed at the craftsmanship of the ride and the technology behind it all! The tour guides made sure we were finished our walk through by the time the ride opened for the general public. Saying goodbye to all the staff at Darkastle, Ashleigh and Kelsie took us onward, stopping at a few rides along the way. 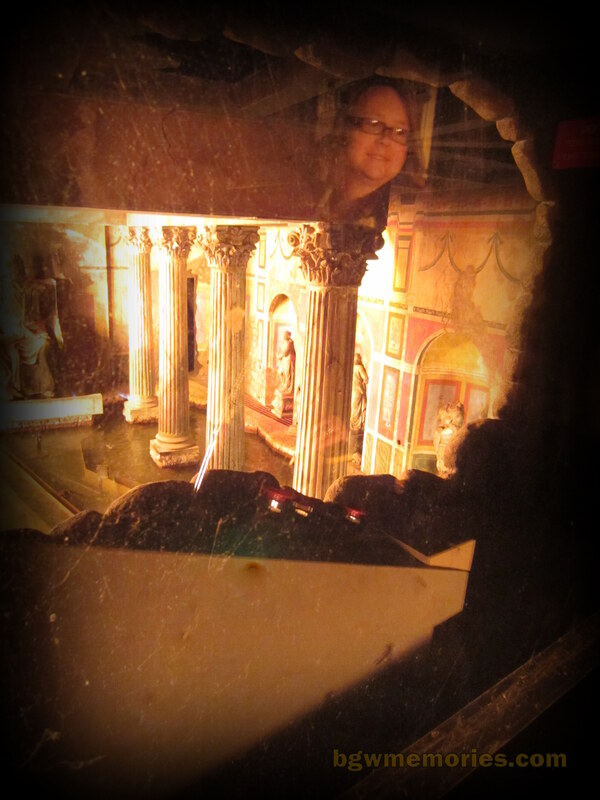 Escape from Pompeii was next on our agenda and upon reaching the ride, we went inside the secret passage that no guest dares to venture. It was a dark hallway and very spooky. In fact, many of the Howl-O-Scream decorations were still up, so the haunted atmosphere was a little disconcerting walking up stairway that led us up to the Pompeii control tower. 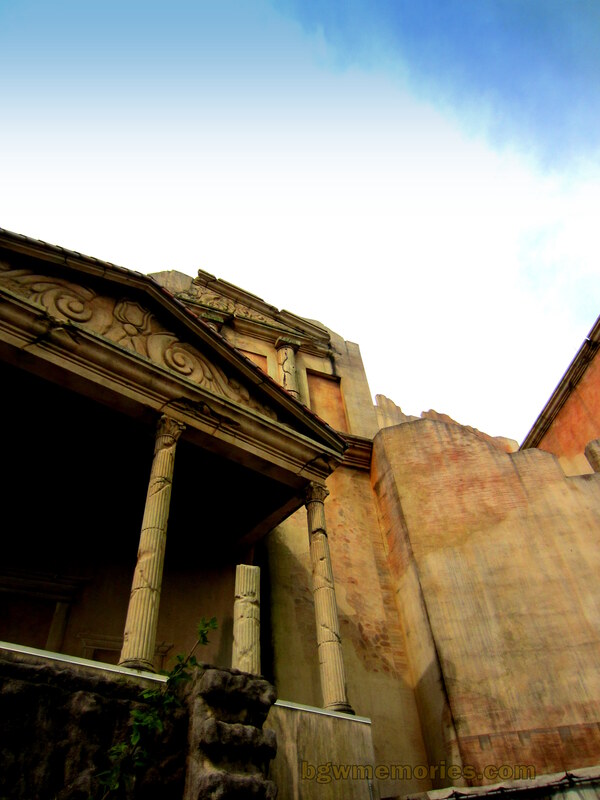 Many times I looked up to the Escape from Pompeii facade and noticed a little mesh covered window next to the final drop. I’ve often wondered who is peering at me from behind that curtain; making sure all the riders were securely seated in the boats. Four long flights of stairs later, we met the team member who does just that. The room was air conditioned too, which must be nice on those hot summer days. Back tracking a little, we went into the room were the pyrotechnics were being controlled. Yes. A team member is responsible for all that fire you see leaping around you as you pass by safely in your boat. 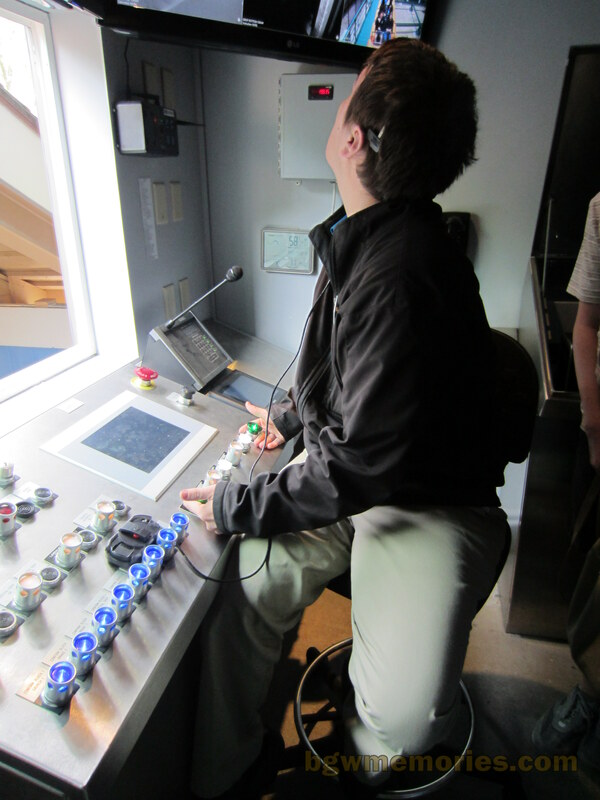 I will say that control room was rather hot but it was absolutely hilarious to watch guests scream at all the explosions; oblivious that they are being watched from above. We took this time to grab some lunch and watch Entwined at the Festhaus. After the walking for four miles, the air conditioned break was perfectly timed. It was also very nice to have dining passes. We could have any meal and dessert of our choosing. Score! 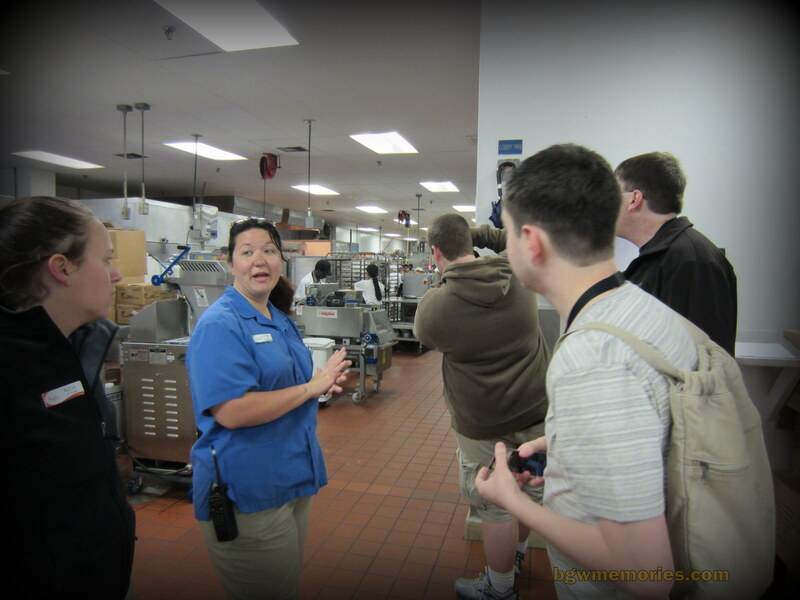 During our trip, we decided to sign up for the Verbolten Insider Tour in addition to the Ultimate Insider Tour. We purchased our tickets and met up with the 1pm tour group at Verbolten. I had been in the building once before, but I have never had the joy of climbing up the hill behind the building were the final drop is located. It was like standing on sacred ground. Looking around, I could feel the start of tears thinking that I was right were the Big Bad Wolf roller coaster once stood. Being so close to that special place and also having a rare glimpse of the new ride that will always contain a part of “the Wolf’s soul,” was a bit overwhelming for me. Behind the Scenes at Verbolten! The inside of the building was rather intense as you can hear all the sound effects and the coaster roaring by! It was fun to have such access to what only a few park employees get to see on a daily basis. After the Verbolten tour we rode a few more rides and went over to Ireland to watch Celtic Fyre. Having VIP seating allows you front row access. I’ve seen Celtic Fyre over a hundred times, but nothing beats seeing the power of the dancing just inches away from your nose. 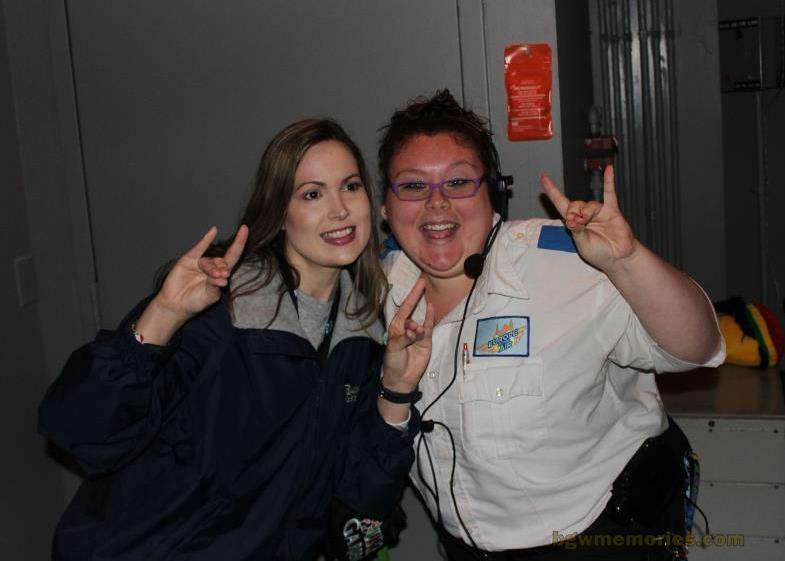 Lastly, we took a peek in the maintenance bay of the Loch Ness Monster and also inside the control room of Europe in the Air, where I ran into Cristal who used to work at the Big Bad Wolf. 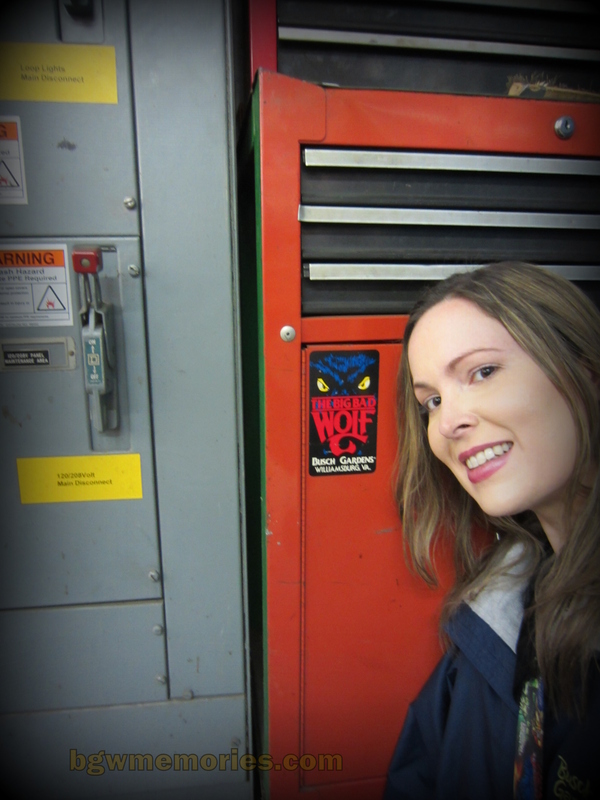 I was so happy to see my friend again and to also find a little “Wolf” sticker hiding out at Loch Ness! It was a perfect end to a perfect day. Me and Cristal giving our howl out to the Big Bad Wolf! Awwwoooo! Saying Goodbye after a wonderful day!